Traveling the streets of Los Angeles can be tough. The high volume of cars, constant traffic jams, and sprawling urban area makes getting through the city difficult at times, but it doesn’t have to be. Rather than relying on public transportation, rideshare services, or your own car to navigate the streets, make a minibus the primary choice for mobility in such a large city. Public transit routes in Los Angeles aren’t as intuitive as you may think. Because train and bus routes typically only go in one direction and may pass your drop-off point, nearby destinations can take significant amounts of time to reach. When you reserve a minibus, you’re able to plot your very own custom route. Los Angeles County contains a number of cities that aren’t easily accessible by train or bus. 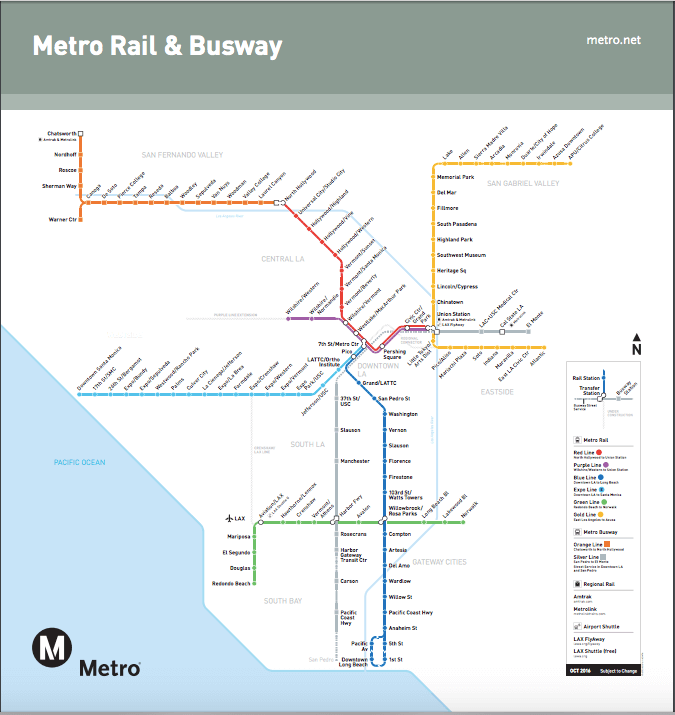 While LA Metro transit fare is relatively inexpensive (day passes are $7, while weekly passes cost $25), many routes on the map don’t take you exactly to the location you’re interested in. Rail lines primarily work in a linear fashion, and bus routes are confined to specific schedules that may not match yours. With a reserved minibus, you’re able to get to specific locations in Los Angeles at a faster pace than you would’ve taking a public train or bus. When riding public transportation, you have no control over who you share your ride with. Minibuses provide a more personalized experience, as you’re able to choose your passengers when booking. Avoid the discomfort and uncertainty you may face when riding public transportation by reserving your own private coach. Due to frequent stopping, public transit can be inconvenient when you’re in a hurry. It’s easy to fall behind schedule when your bus or train is stopping every mile to pick up passengers, which is why a private ride serves you better. When you reserve a minibus, you can choose how many stops your bus will make, as well as where they will be. Minimize travel time by selecting personalized pickup and drop off locations, and add passenger pickup points that are exclusive to your group. Another issue many public transit riders face is what’s called the First Mile, Last Mile Problem. This occurs when the walk to and from your home or office is so far from a transit stop that public transportation becomes an inconvenience. Many Angelenos face this problem when commuting to and from work, but a personalized shuttle can mitigate this problem by eliminating the journey between the two points. As the second most populated city in the United States, Los Angeles is home to some of the worst traffic jams in the country. Because so many residents own cars, buses are often an overlooked solution for commuters in need of fast, reliable transportation. Groups headed to the same destination find private minibuses to be the perfect alternative to carpooling and rideshare services. Help reduce the number of vehicles on the road by booking a charter or minibus to pick up your classmates, co-workers, wedding guests, teammates, fellow church-goers, and anyone else. Public buses typically provide considerably fewer amenities than private buses. On the LA Metro, your amenities are limited to air conditioning, but with your own reserved coach, you’re able to enjoy complimentary WiFi, plush seating, power outlets, lavatories, luggage bays, and more. Make the most out of your trip, and enjoy the comfort and relaxation you deserve. Simplify your travels in Los Angeles today and start riding with a private transportation provider today. Check out our minibus pricing guide to find out which solution works best for you, and contact GOGO Charters at (323) 373-3085 to reserve your minibus today.